For as long as anyone can remember, Juventus has been the unquestioned class of the top Italian league. With 33 league titles in team history, Juve historically always seems to find a way to end up towards the top of the table. This iteration of Juve, led by guys like Dzeko, Fazio, and Mertens, enters the 2017-2018 season looking to continue their dominance in Italy, hopefully coming away with an unprecedented seventh straight title. 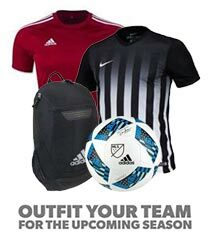 With so much success coming their way, there's no better time than now to get some Juve gear! This sleek black hat combines Adidas' iconic three stripes with Juventus' brand new crest to make an elegant, dope hat. After finishing as runner up in the Champions League in two of the last three years, Juventus is primed to make another run at the title, aiming to capture their first Champions League title since 1995-1996. With a deep arsenal of scorers littered through their lineup, this may be the year Juve finally gets over the hump. The new Juventus hat is simple and bold and joins the rest of the 2017-2018 Juventus gear as some of the best looking club gear in the world right now. 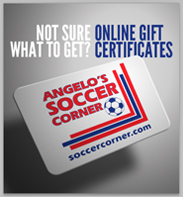 Join the winner's circle and get your Juve gear today from soccercorner.com.